On March 20, Rear Admiral Jay DeLoach, US Navy (Ret. ), President of the NCSSAR New Bern Chapter and a Naval Academy graduate, gave a presentation on the admission requirements for the U.S. 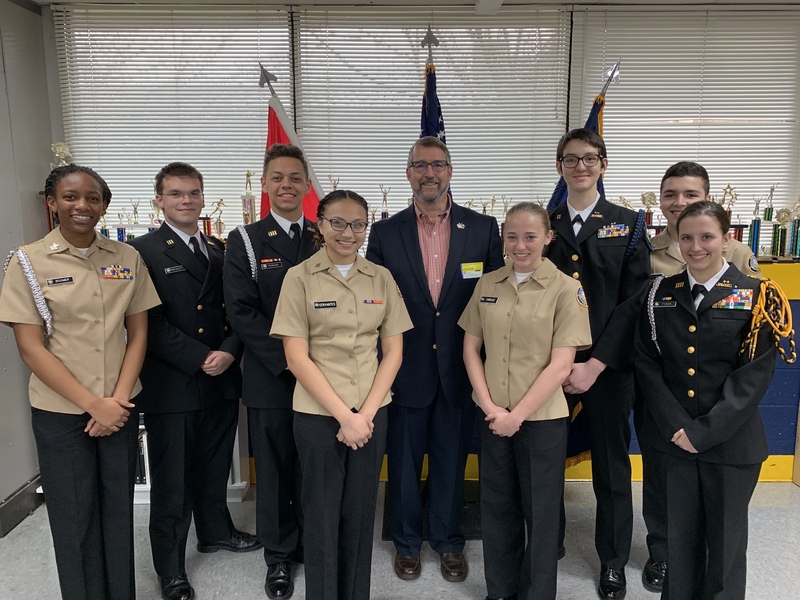 Naval Academy to eight cadets of the Pamlico High School NJROTC unit. These cadets are very interested in attending the U.S. Naval Academy and asked a number of probing questions. Several juniors will be attending the Summer Seminar sessions in Annapolis, MD this June.